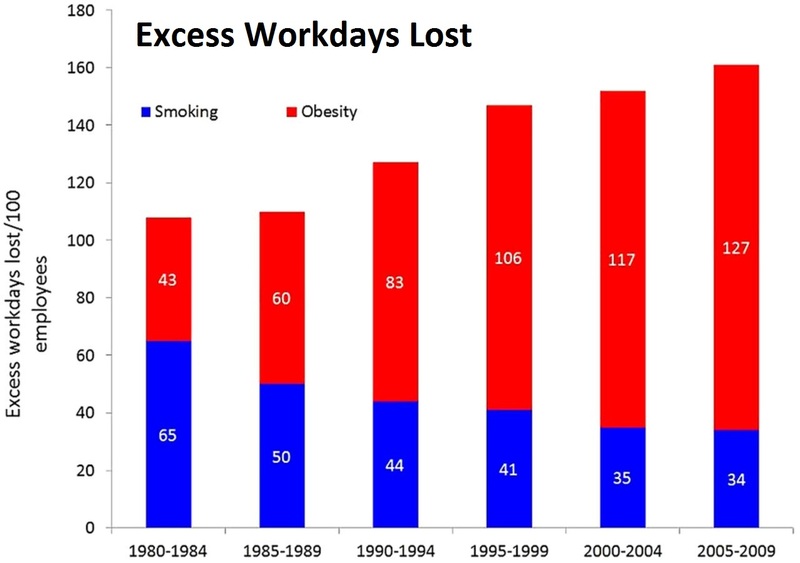 Lost productivity is the net result of a workplace with less smoking and more obesity, according to a new study of company health examination records for more than 5,000 Shell Oil Company employees over three decades. The investigators observed a stark contrast between effective interventions to reduce smoking prevalence among employees compared to an apparent of lack effective measures to support sustainable lifestyle changes to reduce and prevent obesity. Between 1980 and 2009, smoking prevalence dropped from 32% to 17% among Shell employees. During the same period, obesity rose from 14% to 42%. Effective efforts to cut smoking rates paid a dividend of a nearly 50% reduction in workdays lost to smoking-related illnesses during those three decades. Unfortunately, those gains were more than offset by a tripling of workdays lost to obesity in the same time frame. Relative gains in efforts to reduce the health impact of smoking can offer insights into efforts directed at obesity. But such insights must be interpreted with a great deal of caution. 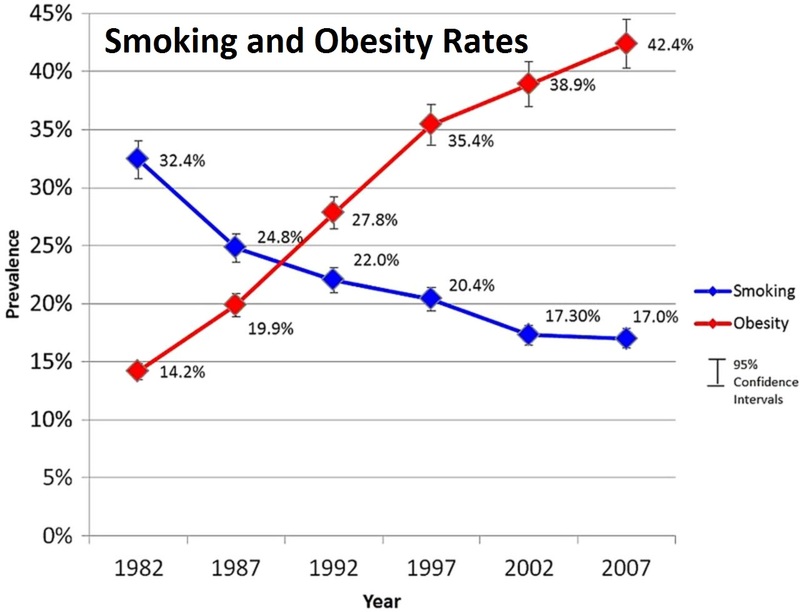 First, and most obviously, smoking and obesity are very different problems. Smoking is a behavior. Obesity is a metabolic disease state. Lifestyle — diet and exercise — contribute to obesity in a much more complex relationship to health outcomes. Many factors beyond diet and exercise come into play. Food is essential for life. Tobacco is not. Right now, the state of knowledge about effective interventions to prevent and treat obesity is wholly inadequate. Bias leads many policymakers to believe the solution should be simple. The facts tell us a different story. Click here to read the study in BMJ Open.